Well, as they say...life has its ups and downs but you don't usually experience them in a single weekend. 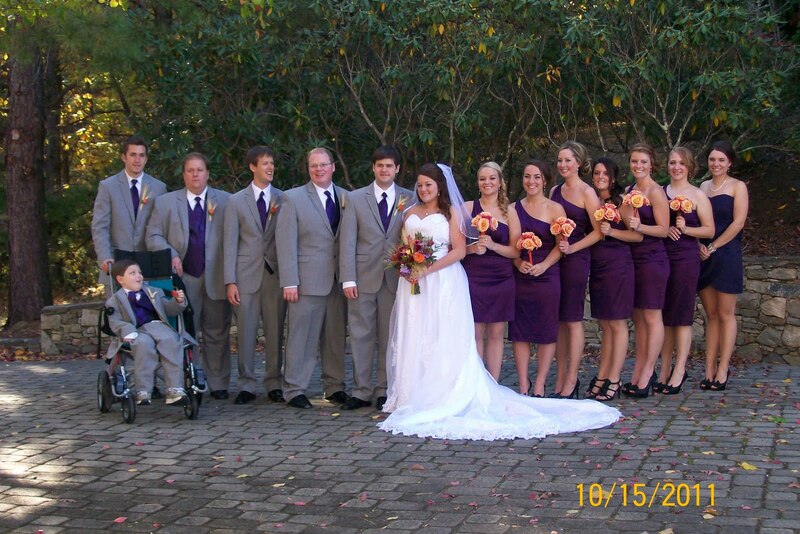 Jake and Nat got married near Waynesville, NC on Saturday. It was a picture perfect wedding and we all had a wonderful time with friends and family. Jack was the life of the party as we would expect, even playing DJ for a while. The setting was spectacular; on top of a mountain in a beautiful house. Nat looked stunning in her wedding dress and was so cute when they were pronounced "husband and wife" that she bounced up and down with excitement. She and Jake are perfect for each other and we only wish them the best that life has to offer. On Sunday, after the wedding, Lisa, Jack and I headed on a lengthy trip to Virginia to take Jack to a special hospital that will help him with his behavior problems. As many of you know and have experienced first hand, Jack is usually a very sweet boy but sometimes, he can be violent, especially with people he is close to. After a very strenuous summer and a referral from the neurologist, we decided to place Jack in this facility. Jack will stay there for some time as he is evaluated and a plan is determined on how best to treat his issues. We know very little at this point on how long he will be there and exactly what this will entail. Needless to say, it was very painful to leave him there. As a parent, you have mixed feelings of relief and guilt. We did talk to Jack tonight and he is adjusting very well. Probably better then Mom and Dad. We will keep you all up to date on his progress. Please continue to pray for Jack in his recovery.